I’m loving this series and I hope you are too! 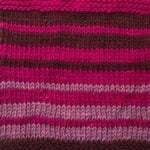 Working the simple garter stitch really taught me a lot! So, this one is simple – just knit every stitch. The magic happens when you change colors. This one is easy, but it may trip up a couple people. 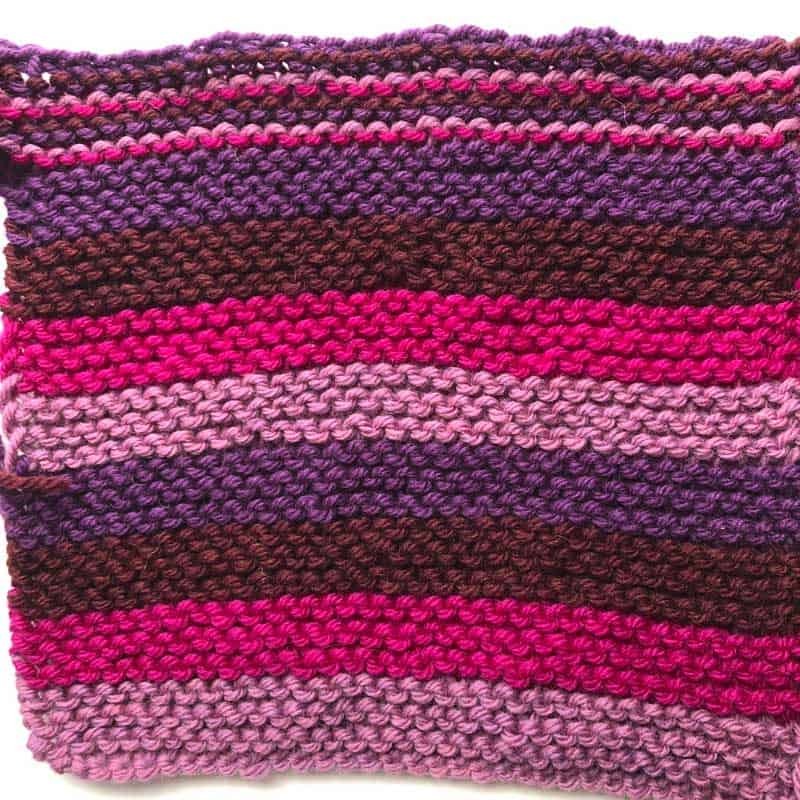 Notice how every other row shows purl stitches? 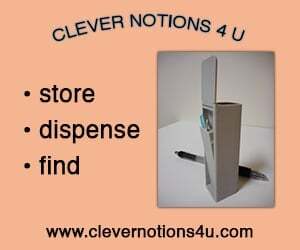 Read on to learn why they’re there. 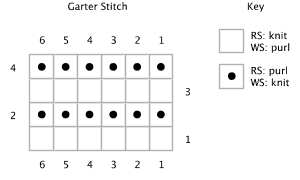 Working garter stitch flat is what most people think of when you say “garter stitch”. Every stitch of every row is knit. 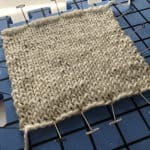 You can also work garter stitch by purling every stitch. Most patterns will NOT do this, so this modification will be left to you. 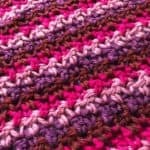 But, if you prefer working a purl stitch instead of working a knit stitch, this modification may be for you. 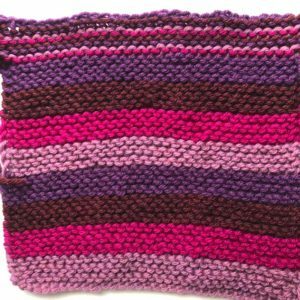 When working garter stitch in-the-round, you work one round of knits followed by one round of purls. In many cases, I’ll work those rounds flat with one additional stitch and then sew it up afterwards. I do it this way because I don’t work purls as quickly as I work knits (and I don’t enjoy them as much either). 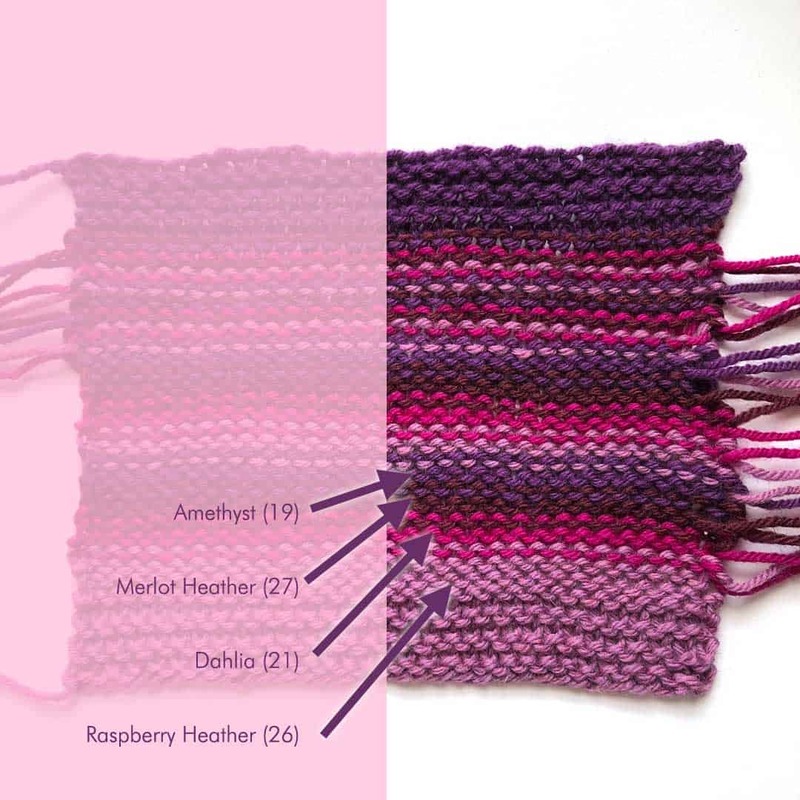 Some others have different gauges for knits versus purls so this is another reason to work it flat. But it’s up to you and what you prefer. 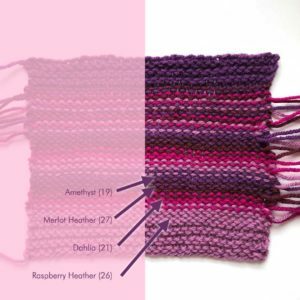 My method does have a seam (but again – no purls!). When switching colors, the bumps show differently on the RS and WS. You can use this to your advantage as long as you know it and plan for it. And, if you work each color in just one row, the color changes occur on the RS too! You won’t really know how something looks until you swatch it. 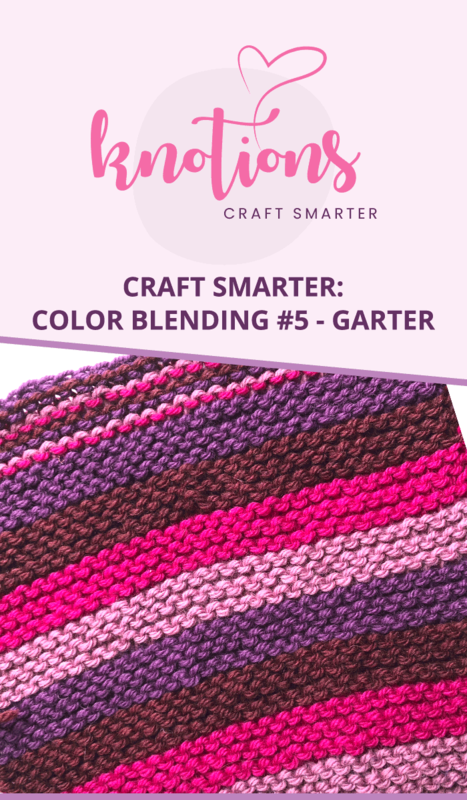 And something as simple as garter stitch can really give you a lot of options!